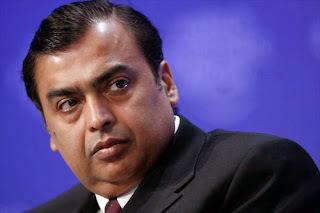 The Brihanmumbai Municipal Corporation (BMC) has levied a penalty of Rs18 crore on telecom major Reliance Jio, for digging up three newly-laid roads in the K-east ward of the city which covers Andheri East and Marol areas. According to senior civic officials, the telecom company had dug up Makwana Road, Hindu Friends Society Road and Marol Military Road without taking requisite permission from the BMC. dna had earlier reported that the BMC had registered a police complaint againstReliance Jio with the MIDC station for unauthorised digging up Marol Military Road to lay4G cables. A one-kilometre stretch of the road was being concretised by the central agency of the BMC, work on which had started in December last, and was supposed to be over before the onset of monsoon. Bhagyashree Kapse, assistant municipal commissioner of K-east ward, confirmed the development and said the amount will be deducted from the company's deposit with the BMC. "After inspecting the roads, we recently levied the penalty," Kapse said. This is not the first time that the telecom major has come under the BMC scanner. Earlier too, the civic body had fined Reliance Jio for damaging pipelines in the process of laying its 4G cable network and for unauthorised trenching of roads. Nikhil Desai, a Matunga-based activist, who had earlier filed a complaint alleging that the telecom company had dug up nearly 25 roads and footpaths in his locality this year, said nearly 75 percent of the trench-filling work has been completed. "However, just reinstating the trench is not enough. The construction debris is still lying scattered on roads and they will have to be cleared before monsoon to prevent water-logging and to avoid inconvenience to residents," Desai said. Reliance Jio, despite repeated attempts by dna, refused to respond to the queries in this regard.